A Spanish toddler sitting since Sunday afternoon in a 110-meter-deep pit at Malaga in the Southern Spanish province of Andalusia. The pit is so narrow that there is no adult for the boy to pick out. The entrance is only 25 inches wide. A camera only came up to 80 feet, so the boy has not yet been seen. The toddler was with cousins playing in the area. Likely they have the stones and the well layers are removed, after which the boy in it is cases. Since Sunday, many emergency services are busy coming up with a solution for the boy’s release. “We are working non-stop to free the boy”, writing the emergency services on Twitter. 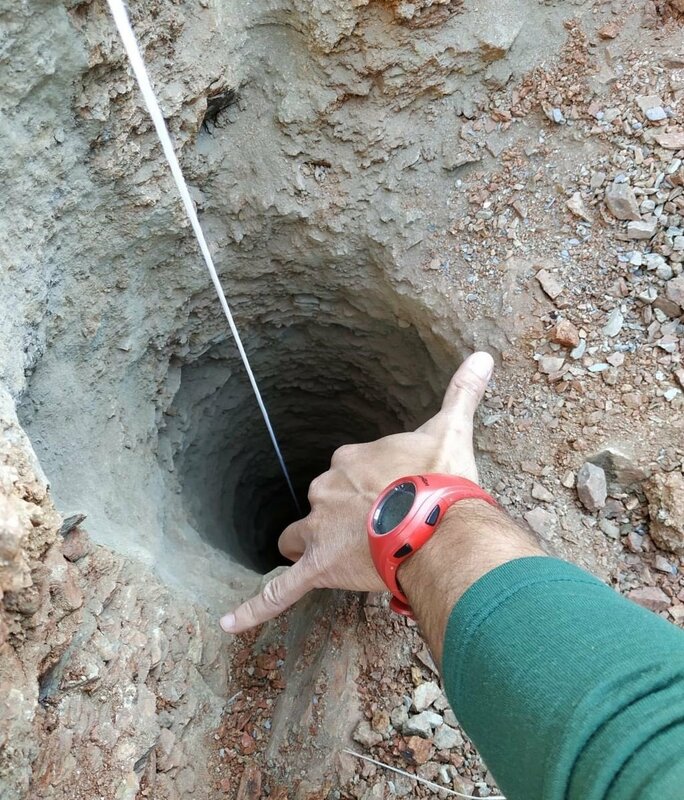 Rescue services are trying to reach a two-year old boy who fell down a well hole in Totalan, Malaga (Andalusia) yesterday. This photo being broadcast by media. Parents have said they heard him cry inside.